Finding Affordable Life Insurance for Diabetics is possible! In order to find affordable life insurance for diabetics you have to know where to look. To find the lowest cost term life insurance protection for diabetics you must use an experienced and knowledgeable agent. It is best to use an independent agent that specializes in placing coverage on diabetics. Why does the agent matter when purchasing life insurance on a diabetic? All life insurance companies offer the same published rates, no matter where you look for coverage. The big online sites or your local agent will have the same rates. But, it’s important to remember that every life insurance company looks at your health and lifestyle differently. The underwriting of the policy is truly what sets the carriers and the rates they charge apart. The agent is your best source to helping you secure the absolute lowest rate in the marketplace. An agent that has been in business for a long time and that specializes in insuring individuals with different medical history’s will know which particular carrier to go to offer the best underwriting,. He will also have the experience to prepare your case in the best possible light to the underwriter. Think about it, if you needed brain surgery would you go to a general practitioner to perform the surgery? Of course not. 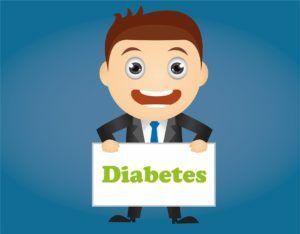 If an agent has never sold or worked on cases involving diabetes, then there’s a pretty good chance you would not receive the absolute lowest offer on your diabetic life insurance application. Don’t assume you have the best rate in the marketplace until you have spoken to an agent who specializes in life insurance for diabetics. What do underwriters look for when evaluating life insurance for diabetics? With someone who is diabetic, the first thing an underwriter will want to know is what type of diabetes is it? Type I or Type II. According the American Diabetes Association , Type I diabetes is diagnosed as the pancreas can no longer produce any insulin. Type II diabetes is basically the pancreas still produces insulin, but not enough or the body is unable to use insulin correctly. From a life insurance viewpoint Type I diabetes is usually considered diagnosed as before age 40 and insulin is required to keep blood sugar controlled. Type II diabetes is typically diagnosed after age 40 and is controlled by diet, exercise and or medication. To an underwriter the most important number illustrating how well your diabetes is controlled is the A1C level. The A1C level can give the underwriter a quick snap shot of how well blood sugar has been controlled over the previous 3 months. An individual’s height/weight, tobacco use, exercise history, medications for other conditions such as blood pressure or cholesterol, and any other medical history all play an important role in how life insurance for diabetics is underwritten and what your final rates may be. How a good agent can help lower your rates. The agent as mentioned previously plays a vital role in preparing the case for the underwriter to review. Not only is it important to work with life insurance companies that specialize in underwriting diabetics, but it is just as important that the agent prepares a good cover letter to the underwriter highlighting important factors such as how was the coverage amount determined, why is the coverage needed and most important what makes the insured a better risk than a typical insured looking for diabetic life insurance. An example of this could be pointing out to the underwriter that the insured exercises everyday, has never missed a day of work due to sickness or that he/she carries a special monitoring kit or insulin pump to constantly regulate the blood sugar. Most agents simply skip the importance of a cover letter. This is a huge mistake and can sometimes be the difference of an insured paying much less in premiums. Underwriters like to see this special attention paid to a case. This shows you are serious about securing the protection for your client. Don’t submit applications to multiple carries at the same time. This is another mistake many agents make when trying to secure coverage on someone that is not a preferred risk. Most agents don’t know how to handle this time of case and simply shotgun applications to several different companies hoping that one will stick. This again is due to inexperience or perhaps laziness on the part of the agent. Insurance companies run MIB reports for each application. This report notifies the insurer if other applications are pending or have recently been submitted with other carriers. Insurance companies spend a lot of money underwriting life insurance applications. If they review the MIB file and see multiple applications have been submitted they could simply postpone the applications or have the application withdrawn. They simply do not want to spend a lot of time and money underwriting a risk while knowing there is a good chance the policy will be placed with another company. By indiscriminately shopping your coverage with many insurance carriers you are actually hurting your chances of getting the best rate possible. A company they may have been willing to provide you with the most competitive offer may simply drop out and make no offer. A smart experienced agent would never let this happen. This agent would make a trial inquiry to several insurance carriers either by phone or by submitting a trial application. This trial application process is simply a way to find out what a carrier may be willing to offer based on the information know about the insured. But, most importantly a trial application keeps the insured from being reported to the MIB. Remember, only an agent who specializes in securing coverage for diabetics can offer you the best solution. If you are interested in finding out the most affordable rates in the United States for diabetic life insurance please call us at 1-888-393-9003 or email mike@specialriskterm.com to discuss your situation.